The Forest Stewardship Council (FSC)® is an independent, non-governmental, not-for-profit organization that was founded to promote responsible forest management. 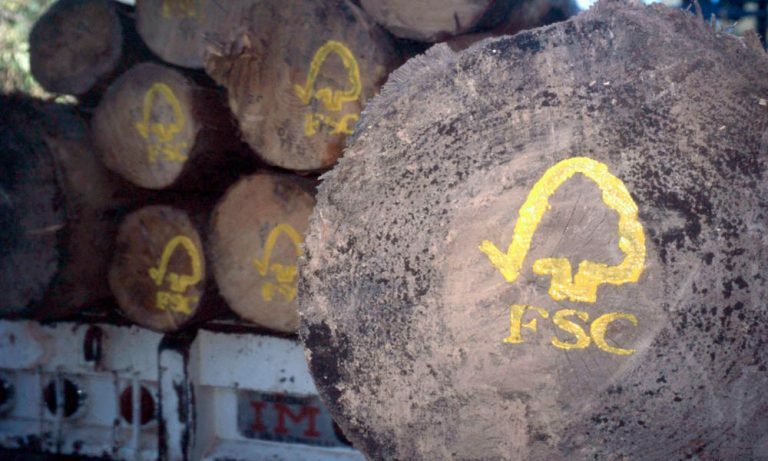 Forest products labelled with the FSC trademark are proven through third-party certification process to originate from sustainably managed forests. One of the labels – FSC Mix – enables mixing FSC certified and non-certified wood as long as the non-certified wood originates from low risk sources, i.e. controlled wood. As one of the requirements under the Controlled Wood certification, forest products companies must undertake a “Risk Assessment” to ensure measures are in place to demonstrate a low risk supply for each of the five categories below. Indigenous and stakeholder consultation is used to verify that control measures do indeed mitigate any risks to the environment or other values as identified. 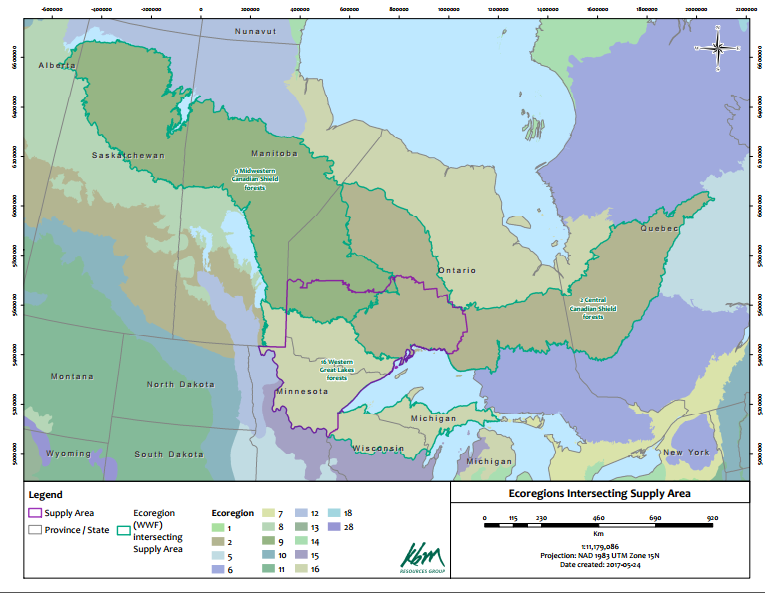 In 2017, KBM Resources Group undertook an FSC Risk Assessment on behalf of a group of forestry companies for the area that spans Northwestern Ontario and Northern Minnesota (map below). The Risk Assessment concluded that the defined wood supply area is “low risk” for all five FSC categories. However, because there were eco-regionally significant “High Conservation Values” present in the supply area, a stakeholder consultation process was required. KBM received over thirty responses from identified stakeholders and Indigenous communities, representing a diverse cross-section of interests. The majority of comments were supportive of the conclusions of the low risk assessment and noted the extensive regulatory system for forestry in Ontario, including legislation to protect species at risk and manage forests at both the stand and landscape scales. The concerns were mostly related to broad forest management approaches and forest practices as currently regulated in Ontario, e.g. the use of herbicides and clearcutting. KBM followed up on all stakeholder comments, and the Risk Assessment ultimately concluded that that any forest operation threat to High Conservation Values is ‘low risk’ due to the strong regulatory forest management requirements in place, regular auditing of compliance with provincial requirements, mandatory periodic reviews of the effectiveness of forest management guidelines and the extensive protected areas network that is interspersed throughout the evaluation area.